This post may contain affiliate links or sponsored content. Please know that all opinions are honestly conveyed and are mine alone. 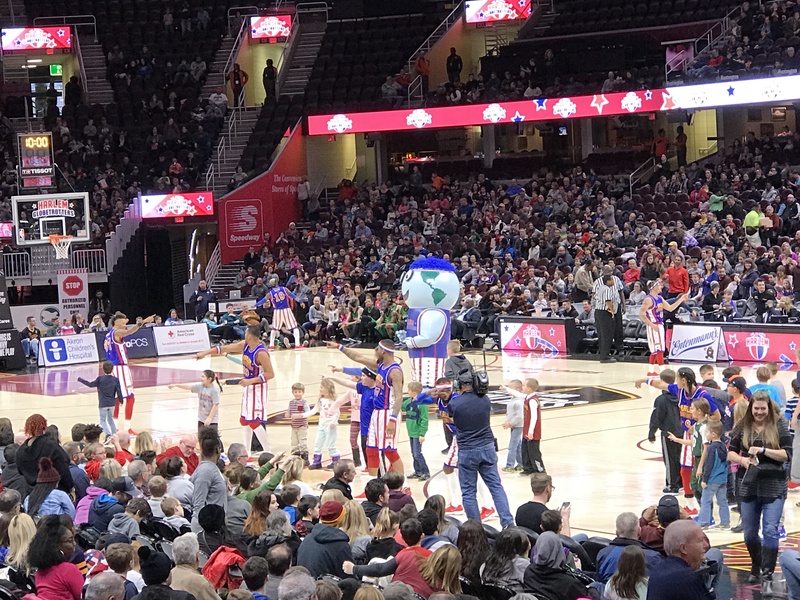 Much of the Harlem Globetrotters show was very much geared towards kids and giving them encouraging messages. One of those little talks encouraged kids to stand up to bullies. "Zeus," number 30, shared how he was cut from every basketball team from 7th grade to 10th grade, but he grew and finally made the team his junior and senior year of high school... and, now plays for the world-renowned Harlem Globetrotters! You just never know how your circumstance will change, so keep trying— a great message for all kids to hear! 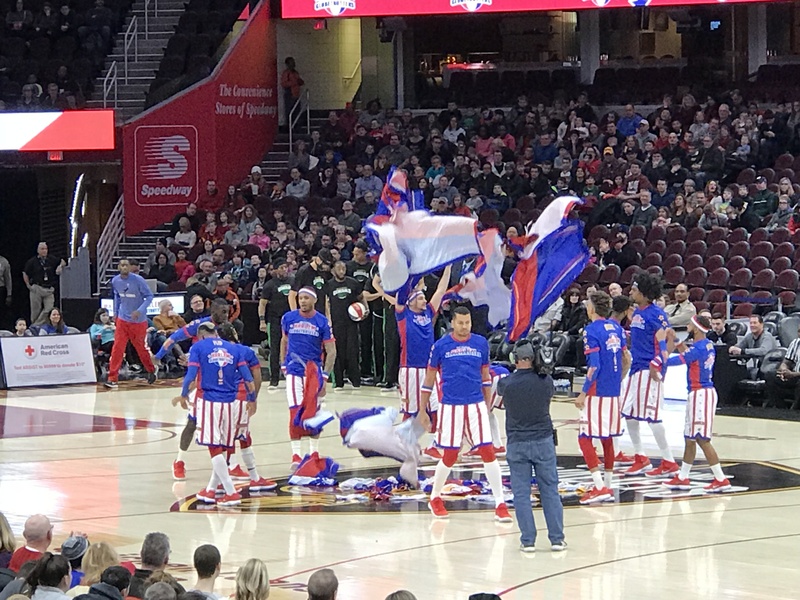 "Hoops," number 6, is the 15th woman to be a part of the Globetrotters. Her story is very inspiring for all the girls in the crowd because she is proof that girls can do anything that a boy can do. 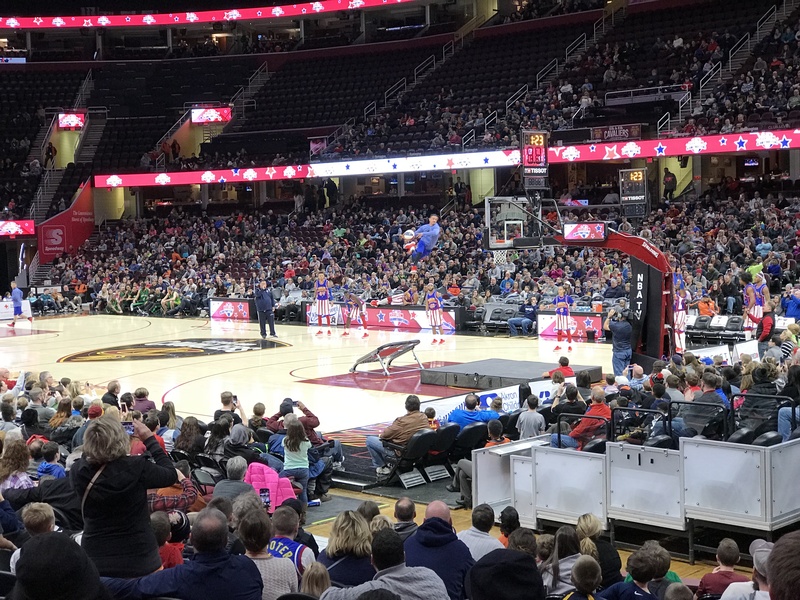 If you have any basketball fans in your family, they will definitely appreciate the great basketball skills that the Globetrotters showcase: the classic and iconic Globetrotter basketballs spins on one finger, shooting from the 4-point line, and passing the ball from player to player before finally taking it to the hoop! 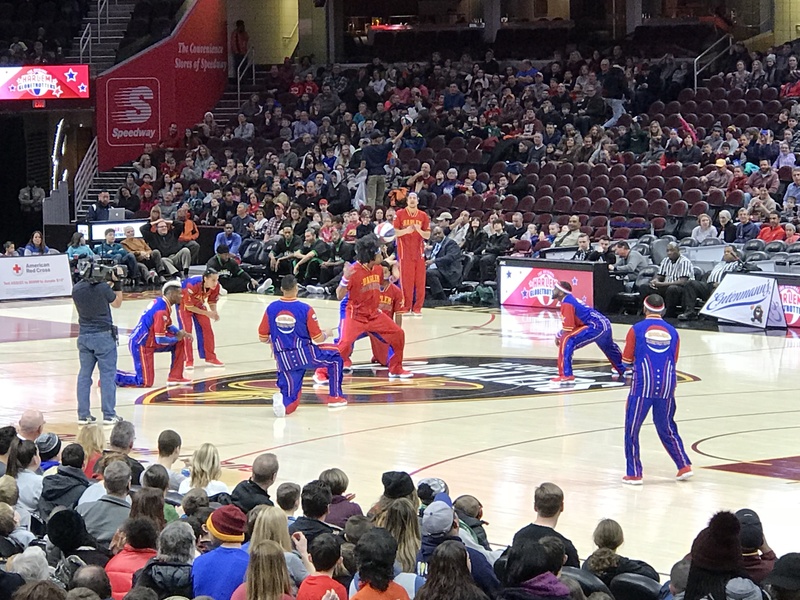 Besides great basketball skills, the Harlem Globetrotters are very entertaining. Throughout the 2-hour show, they bring up kids (and adults!) from the audience and have them participate in games and little side skits that make the basketball game even more entertaining. You don't want to miss out on this family fun! 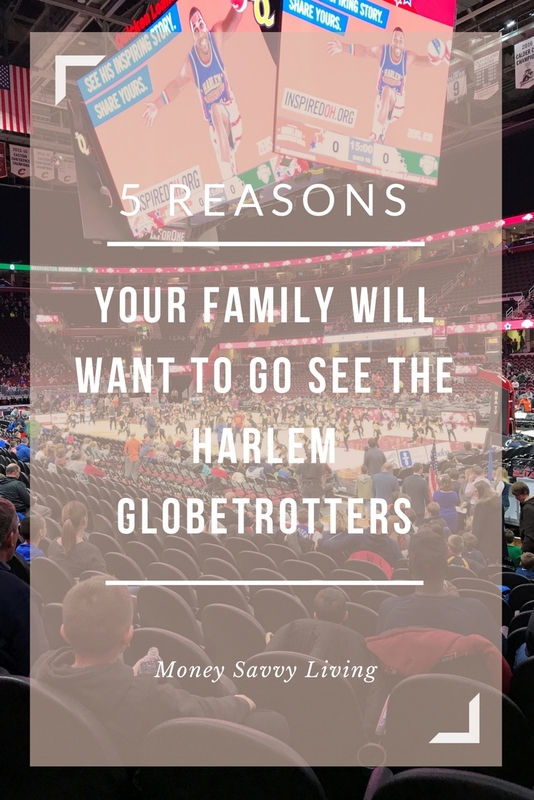 Find a show near you by checking out the Harlem Globetrotters website here.